According to legend, many years ago the island of Lipsi was where Ulysses met Kalypso to spend a long and infinite life. From this story the name Lipsi derives from Kalypso. 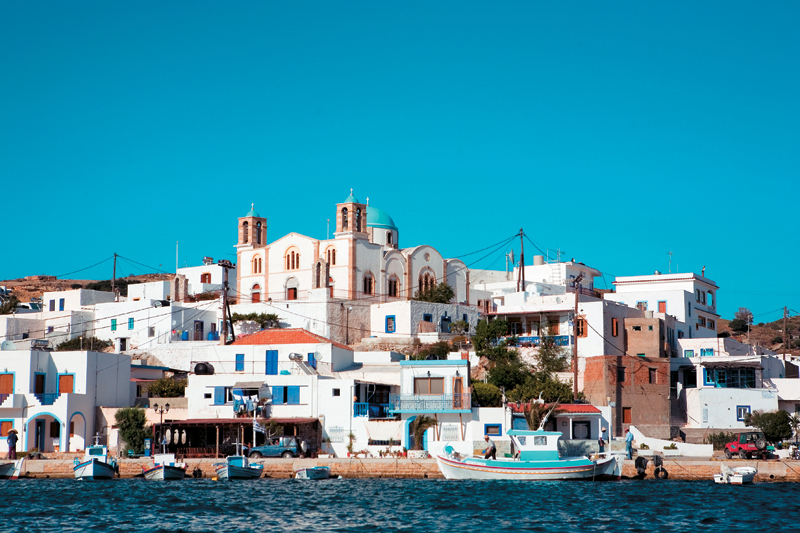 Lipsi is found in the eastern Aegean Sea in Greece and is home to a wonderful marine biodiversity, which includes many endangered marine mammals. The island has a small population, comprising only 790 inhabitants. Small scale fisheries have long been the basis of this community, providing food and jobs. Many of the islanders are small scale fishermen and with their small boats spend all night, every night working hard at sea. The dramatic decline in fish stocks over the past decade has caused increasing pressure on both fishermen and marine mammals. Both have the same problem in finding fish and this causes an increase in conflict between small-scale fishermen and marine mammals such as the bottlenose dolphin (Tursiops truncatus), the critically endangered Mediterranean monk seal (Monachus monachus) and loggerhead turtles (Caretta caretta). As a result these rare marine animals increasingly take food directly from the nets of small-scale fishermen. 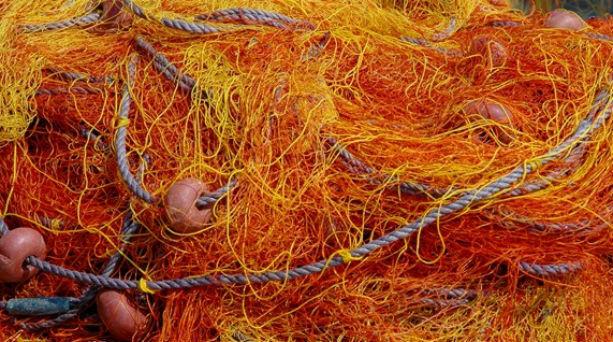 Not only does this cause costly damage to the fishermen’s nets, but their catches are also being “stolen” and thus their earnings are reduced. Furthermore, on rare occasions, dolphins and monk seals sometimes can become entangled in the nets and die. This can be detrimental to populations, especially for the already critically endangered Mediterranean monk seal. Archipelagos Institute of Marine Conservation (www.archipelago.gr) is working to create a co-managed fisheries protected area around the island by working closely with the local community to give them active role in the protection of their fish stocks. For this reason an international team of volunteer scientists and students from Archipelagos have been based on the island of Lipsi for the past 5 months and continue to work there in order to collect the necessary data for the creation of this fisheries protected area. 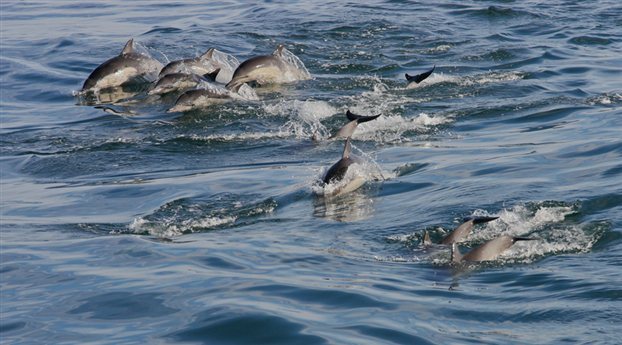 As a short-term solution to reduce the conflict between fishermen and marine mammals, Archipelagos’ scientists are seeking funds that will allow them to replace the fishermen’s small-mesh nets with nets composed of a larger mesh. Marine mammals tend to cause less damage to these, while this type of net is also more selective (i.e. has bigger holes and catches larger fish) and hence contributes to a more sustainable fishery. This helps to reduce conflict between the two groups. WHAT IS THIS CAMPAIGN FOR? Tsikoudia (τσικουδιά) –or also commonly raki (ρακή) in the eastern part of Crete– is an alcoholic beverage, a fragrant, grape-based pomace brandy of Cretan origin that contains 35%–60% alcohol by volume. Tsikoudia is made by distilling of pomace, i.e., the pieces of grapes (sometimes including the stems and seeds) that were pressed for the winemaking process. The pomace is kept for about six weeks after the grapes have been pressed, in a tightly-sealed barrel, and then the fermented mush is distilled. It is similar to tsipouro made in mainland Greece, to the Spanish orujo, French marc, Georgian chacha, Portuguese bagaceira and Bulgarian, Serbian, Croatian (in Istria: rakija and grappa), Romanian tescovină, Albanian, Bosnian, Montenegrin, and Turkish rakı. In the eastern part of Crete tsikoudia is commonly referred to as “raki“, but apparently less so in the west. 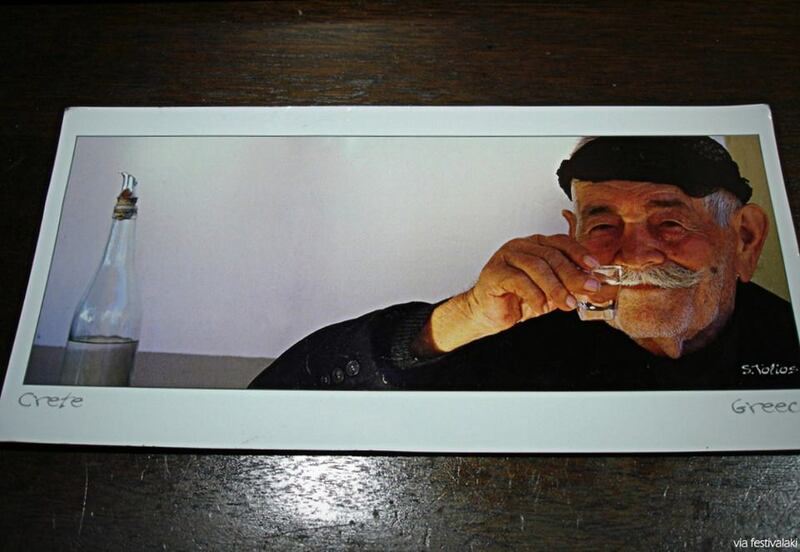 It is often home-produced by individuals in villages throughout Crete, and so the alcohol content varies by producer. Typically each Cretan village has one or two residents who are licensed to distill, and tsikoudia is produced continuously for two or three weeks in late October and early November. Tsikoudia is sometimes served cold from a bottle kept in a freezer. This is commonly offered as an after dinner digestif and in most tavernas in Crete it is offered as a complimentaryaperitif with fruits and sweets after the meal. It can be flavored using lemon rind, rosemary, or honey (rakomelo). “Festivalaki” is a contemporary festival coming from Crete! It is an annual, multifarious happening around Cretan Arts & Culture, created through public involvement and participation. As a festival, but also as a community of people that share a common passion for Crete’s culture, it aims to guard, transmit and reproduce the artistic culture of Crete, through gathering and presenting – in an innovative way – the traditions and the new trends of Crete’s cultural activity (through concerts, happenings, exhibitions, workshops, dialog and participation) so as to bridge past with present towards inventing future. It aims to create a step of expression for individuals and artists – inspired by Crete – and a dynamic core of protection, promotion, inspiration, reproduction and finally transmittion of the Cretan spirit both to locals and visitors of the island. The Cretan Union Cup reggata comes at a historic moment, as Crete celebrates its hundred year anniversary of its reunion with Motherland-Greece, to sail over the Cretan waters, where since prehistoric times served as the crossroad for sailors and navigators of the Mediterranean. Minoan Crete for millenniums was the sole naval power ruling the Mediterranean. In fact, current scientific sources make reference to the trading of zinc with North America thousands of years BC. The Minoans were the only people, who by utilizing pioneering naval architectural know how through sea trade, and not with the assertion of weapons – since there are no documented evidence of army existence in the Minoan depictions – dominated the entire Mediterranean. Crete is the birthplace of Zeus. It is here after kidnapping Europe from Asia and inseminating their civilizations, her name was given to the Old Continent “Europe”. It is here therefore, you will be given the opportunity through the sailing routes to scrutinize through yesterday’s mythology and today’s history. Through this reggata you will get to know the Island of proud people, who with bravery resisted and continue to resist any unfavorable circumstances, thus, safeguarding their Greek identity. Historic places await you. Places with continuous and uninterrupted human presence for thousands of years, and have prepared an excellent itinerary of hospitality for you. You will taste the unique Cretan diet. You will hear the sounds of primordial Cretan lyre. You will be invited to dance to the rhythms of Zorba and follow Kazantzakis’ travelogue. You will enjoy the godlike hospitality. 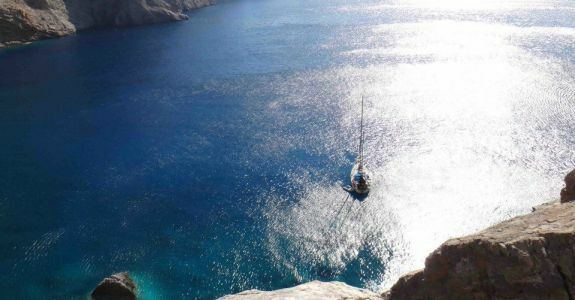 You will sail and enjoy the unique salinity of the Cretan Sea, which during the month of October bears ideal temperatures. 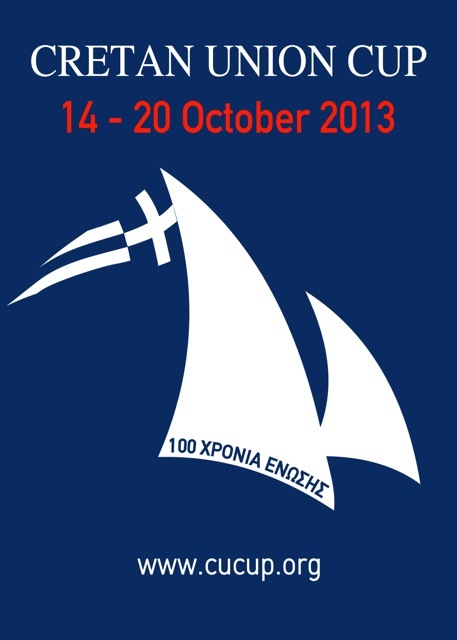 The Region of Crete and the nine sailing clubs of the island, with a tradition in hospitality and successful international organized contests, such as MINOAN CUP, ODYSSAL,EUROPEAN IMS 600, WORLD IMS 600, 5th WORLD UNIVERSITY CHAMPIONSHIP, is ready to welcome you in most ideal contest conditions, at Land and at Sea. Sailing is the propulsion of a vehicle and the control of its movement with large (usually fabric) foils called sails. By changing the rigging, rudder, and sometimes the keel orcentreboard, a sailor manages the force of the wind on the sails in order to move the vessel relative to its surrounding medium (typically water, but also land and ice) and change its direction and speed. Mastery of the skill requires experience in varying wind and sea conditions, as well as knowledge concerning sailboats themselves and an understanding of one’s surroundings.